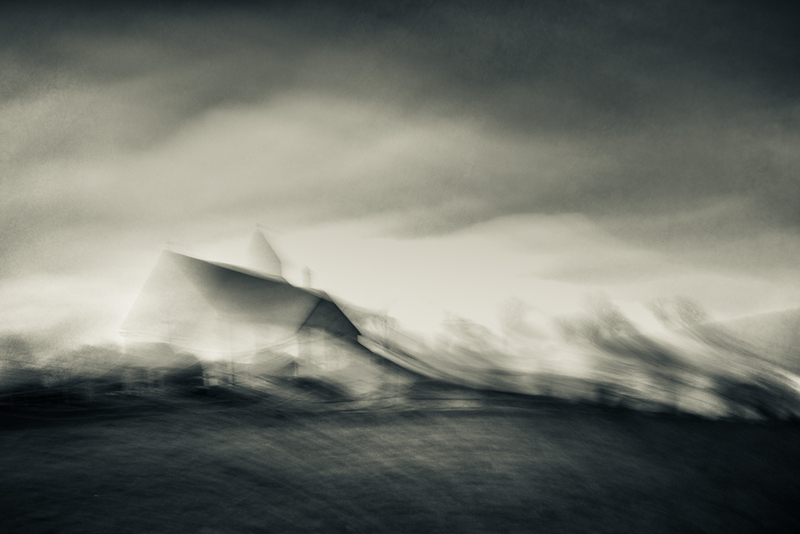 Earlier this week I posted my first attempt at an image utililising intentional camera movement (ICM). You can read this entry here. Since then I have identified and processed two other frames taken on the same outing. 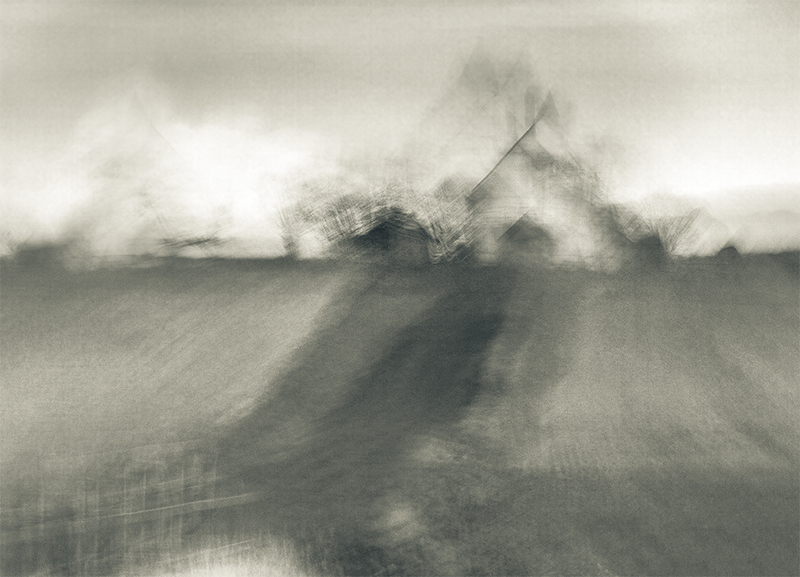 The first image shown above is an abstraction of the landscape at Idsworth. 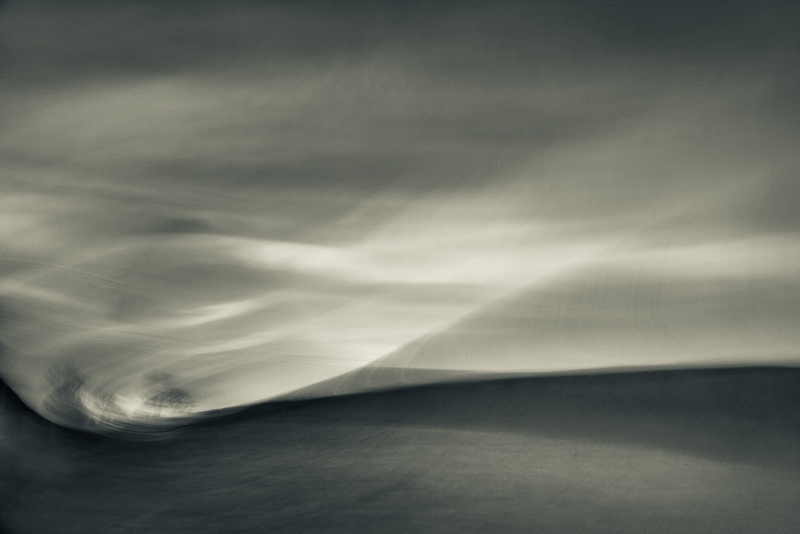 Having taken several hundred frames I have no idea how I moved the camera which created these lovely shapes and forms. This is of course very much part of the fun. Experimentation is key to ICM and I have already come to reaslise that taking just a handful of shots is unlikely to yield many good frames. Each photograph is a single exposure from the location itself and during processing I have blended a texture layer at a very low opacity. The second picture is a view of the church standing proud on the horizon. A path in the foreground leads up from the road. Unfortunately viewing relatively small images on a website doesn’t reveal the texture and detail of a photograph. I have therefore included a small detail of the church. I find the random nature of the ‘marks’ fascinating and very appealing. Regular readers will know that I am a very keen printer. As far as I am concerned it’s the final and most important expression of photography. I have it mind to print these images on a bright white textured fine art matt paper. I don’t have this type of paper so I’ll do some research, see what’s available, obtain some samples and do some test prints. I can imagine these photographs printed on A2 paper or even A1 size paper, but I shall start with A4 or A3. I hope to be out in the landscape later this week and I know what I shall be doing – waving my camera around. I just hope no one is watching – they might wave back! 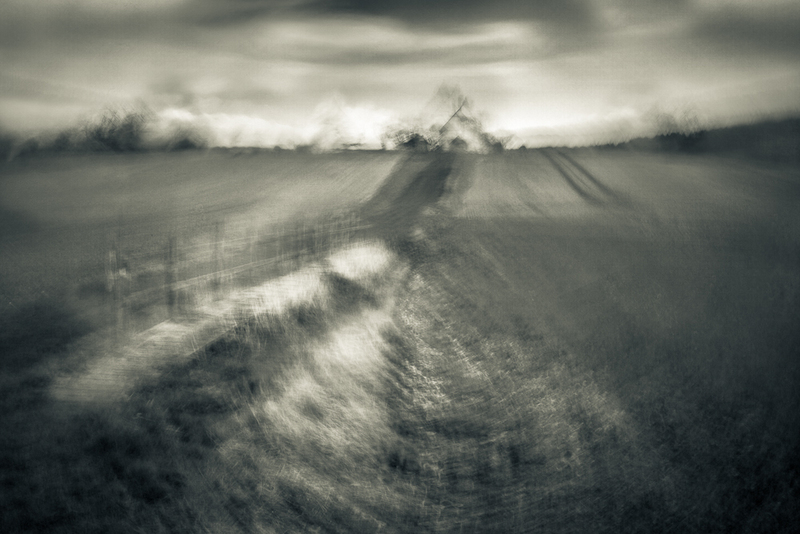 And just in case you missed it here is my first attempt at an ICM image which I posted a couple of days ago. Many thanks for the very positive feedback Frank. I think I just got lucky but I did take about 600 exposures over just a couple of hours so perhaps I deserved a little good fortune! I have certainly been inspired to do some more work of this nature.